White label your Divi website in seconds! With Divi Ghoster, you’re able to hide your use of the Divi theme in development from both the back and front end of your website. With Divi Ghoster, you’ll be able to create a truly custom web build by replacing all Divi or Extra related text and branding with either your or your client’s assets. 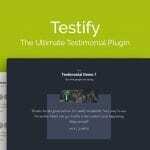 For an even stealthier approach, the Ultimate Ghoster feature allows you to hide both the Divi theme from the theme selector console as well all Divi-related plugins used during your build. Take control of your web build with Divi Ghoster by white labeling both the front and back end of your Divi or Extra website. Perfect for enhancing the brand asset value of either your own website or that of a client, Divi Ghoster allows you to add deep levels of personalization to a web build. Through Divi Ghoster, you’re able to remove and replace any instance of Divi or Extra appearing on the back end of your website with custom text and graphics of either your or your client’s branding. 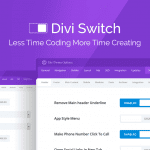 Divi Ghoster also allows you to change the slug text of your website’s URLs, making sure that any Divi-related text is removed from back end URL structures. 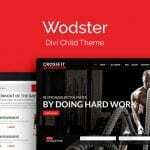 Also, for even more website customization, Divi Ghoster ships with a Login Customizer that allows you to design the standard wp-admin or wp-login page to suit either your or your client’s brand identity. Going a step further, Divi Ghoster’s Ultimate Ghoster feature will allow you to set your site to full incognito mode and hide both the Divi or Extra theme as well as any Divi-related plugins in development from source code and from most theme detectors.